Every week, I select an orange wine (a white wine made with extended skin contact) that grabbed my attention. View the whole series here. I employ a crude rating system when I’m jotting down tasting notes in the field. A wine gets either no stars (anything from terrible to quite good), one star (very good/excellent), or very rarely two stars (outstanding). 2015’s first two star wine was Josko Renčel’s stunning white blend, simply called “cuvée”. 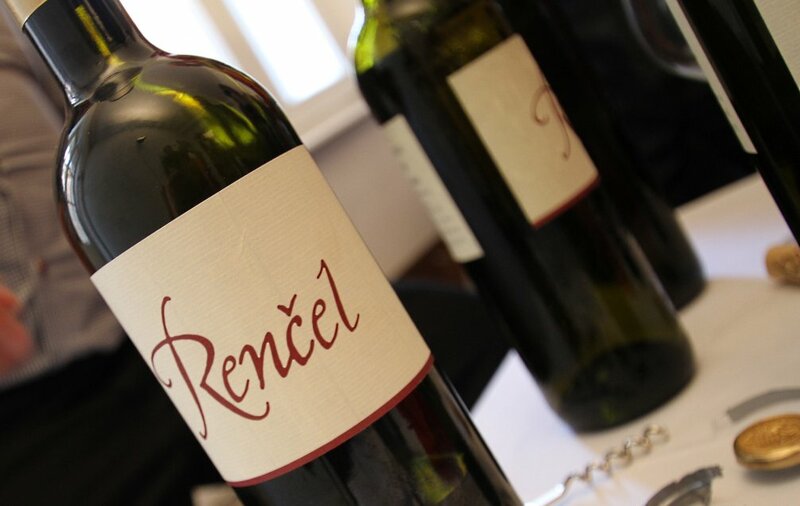 Having tasted Renčel’s delicious cuvée 2011 and a scrumptious Sauvignon 2009 at this year’s Orange Wine Festival, I thought I was done. Then he slyly opened up one of those under the counter “just one more” bottles, which turned out to be a mature vintage of Cuvée – the 2001. This 14 year old blend has extraordinary concentration, a pure focused core of apricot and pear compote, almond, hints of ginger and clove and a soft, seductive texture. I don’t have many technical details about the wine, but I guess it had 2-3 weeks of maceration and was probably quite tannic in its youth, if the 2011 is anything to go by. Everything about this sensational wine is bright and lively, leading to a very long finish. A great example of how a blend can become so much more than the sum of its parts – and of how well orange wines can age. For the geeks, those parts are Malvasia Istriana (which seems quite dominant), Chardonnay and Sauvignon Blanc. Renčel is based in the Kras (The Slovenian part of Friuli Carso) near the village of Dutovlje. His 5ha are farmed biodynamically, and winemaking is extremely low intervention – wild yeasts, no filtration etc. He has a seriously low profile on the web, and the wines are hard to find outside Slovenia. Try this Austrian distributor who advertises the 2008 Cuvée at the time of writing. My top recommendation for finding and drinking Renčel’s wines is to head to the Neptune fish restaurant in Piran. Great food, a wonderful location and the wine list has a dedicated “Orange wines” section. Thanks to Stanko Radikon for the tip.